BRS Services is locally owned and operated by Roy Seal. Since 1999, Roy has built his reputation and a loyal customer base by providing a high quality handyman service with attention to detail and competitive pricing on all of his Anchorage handyman projects. CLICK HERE Roy will also be happy to give you a list of references that you may contact upon your request. 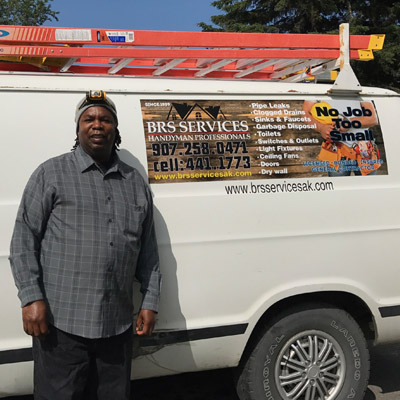 BRS Services is a full service Anchorage handyman contractor. We have the experience, knowledge, tools and equipment to get the job done right. No job is too small. We also understand that project success and client satisfaction are the result of the quality of the final product. Our clients can be confident that throughout the entire process, every detail will be overseen by experienced professionals. The blueprint for the successful execution of your project is as important as the blueprint for the project itself. That's why we develop accurate budgets, as well as efficient and cost-saving implementation methods. We stick to our timetables and complete projects on schedule. Above all, we never lose sight of the fact the most important part of the project...is you. Please take a look at our photo gallery. BRS Services - Plumbing, Electrical, Drywall and more! We specialize in plumbing repairs, electrical repairs, drywall repairs, door installation, door replacement, door repairs, pipe leaks, clogged drains, garbage disposals, deck repairs, toilets, sinks, heating repairs, boiler repair, lights, ceiling fans, property maintenance, commercial maintenance, bathroom, kitchen, garages, custom building, home remodeling, home renovations...and more! If you are looking for an Anchorage handyman, then please call 907-258-0471.